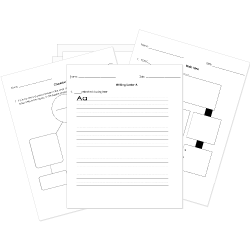 You can create printable tests and worksheets from these Grade 6 Aesop questions! Select one or more questions using the checkboxes above each question. Then click the add selected questions to a test button before moving to another page. A famous author of fables according to tradition was a Greek slave. He was known as Aesop. In the fable "The Lion and the Mouse", What did the lion do for the mouse? In Aesop's "The Lion and the Mouse", What did the mouse do for the lion?